After a very stale and political year, as far as cinema goes, this political film is very refreshing and is exactly what America needs. 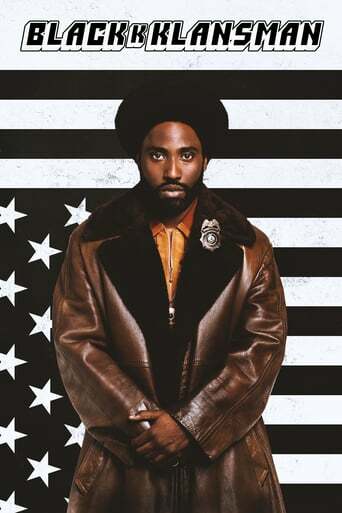 The film steers clear of hate and instead focuses on the main theme...and tagline of the movie "all power to all the people". 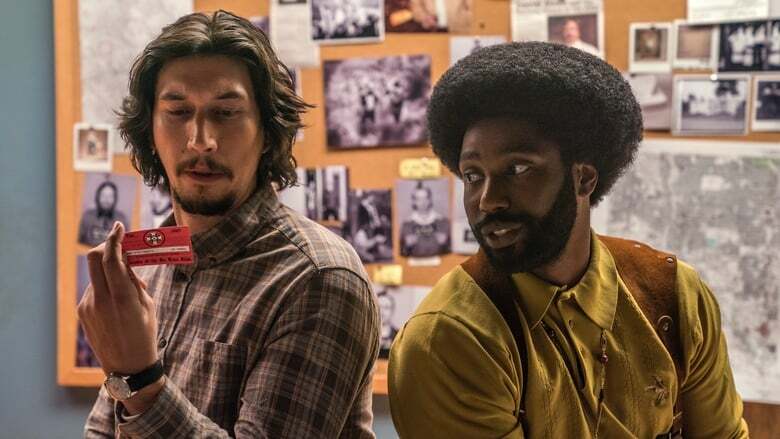 I'll be perfectly honest and say I was not expecting such a good movie as I'm not big into Spike Lee Pros: -The film has an exceptional amount of comedy. Just enough to keep you laughing, but not so much that it takes away from the story. -You will feel for the characters. They are very strongly developed. -The cinematography and colors are beautiful. Very soft to look at -The story has a fantastic message-I can see this movie being popular for years to come. Cons: -Some of the dialogue seems very forced. -Choppy editing at some points -1 extremely noticable continuity error-The last scene in the movie (if you can call it part of the movie) should cut completely. While it has significant impact on audiences today, it will struggle to find any impact 10 years from now. 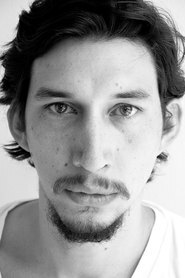 John David and Adam Driver are excellent at portraying the same Klan infiltrator as they struggle internally with personal conflicts over Black Power/Pride and being Jewish, respectively. Some funny moments, some sad moments and some or should I say plenty, hard-to-take racist dialogue reminiscent of then and NOW. Good music. Excellent movie that is worth seeing. This movie was so inaccurate, I'm not sure if it should be considered a satire. It seriously deviates away from the book and actual history in order to preach more leftist politics at you. It takes current events out of context (the trump quote) and doesn't apologize for it. Do yourself a favor and go read actual stories of the actual events that took place rather than watching it through the viewpoints of ignorant director spike lee.